This recently discovered Easter egg in Google's search engine produces both an amusing and surprising result. If you have not seen it for yourself yet, go to Google and type "do a barrel roll" (without the quotes, it will not work with them). 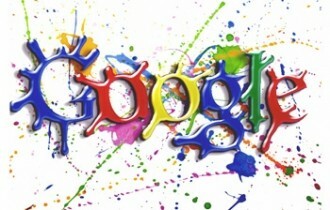 Gravity: Type Google Gravity and hit "I'm feeling lucky" to observe Google collapse before your very eyes. It is probably safe to assume Google's "do a barrel roll" Easter egg originates from Nintendo's Starfox franchise. Those familiar with the series might recognize the significance of the phrase. Of course, seasoned console gamers will also be amused to see that typing "z or r twice" in Google will produce a barrel roll as well -- a pretty solid give away. If you are particularly uninclined to check it out for yourself, you can watch the Easter egg in action below. It may also be useful for those of you running old browsers that can't handle the effect. Update: I was not able to get the Easter Egg to work in Internet Explorer 9 or 8. It would be logical to assume older versions do not work either. It works for sure under Chrome and Firefox 7.